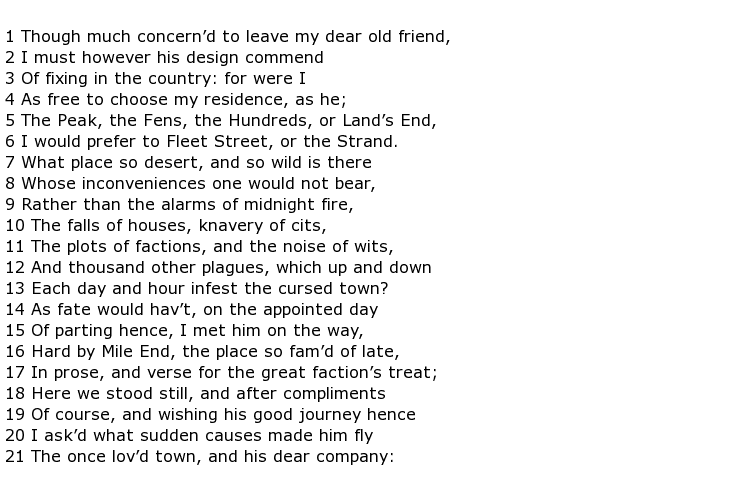 John Oldham was a 17th century English poet. teacher and translator of work by a 2nd century Roman satirical poet named Juvenal, whose work he often tried to imitate. He was born on the 9th August 1653 in the Gloucestershire village of Shipton Moyne. His father was a non-conformist minister. He had a fairly rigid education, coming under a headmaster at Tetbury Grammar School who operated within strict moral and puritanical guidelines. 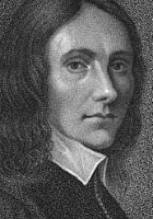 The master, Thomas Tully, was a Calvinist and, coincidentally, his next appointment was as Principal of the very same Oxford college that Oldham went to. However this did not prevent him from gaining a Bachelors’ degree and he graduated in May 1674. He had ambitions to become a poet but his first employment was as a poorly paid usher at the Whitgift School in Croydon, Surrey. Oldham found this job extremely monotonous and his duties interfered with his writing to some degree. He did, however, manage to compose a number of satirical pieces that were published and which came to the attention of two distinguished visitors to the school – the Earl of Rochester and the Earl of Dorset. Both men made a point of congratulating Oldham on his poetic achievements so far which, naturally, encouraged him greatly. Oldham was able to leave his employment in 1678 and he took up the tutorship of the sons of a retired judge in Reigate, Surrey. He had more time for poetry now and he composed a number of satirical verses attacking the Jesuits. It was fashionable at that time to speak out, and take drastic action, against Catholics and their so-called “Popish Plots”. After a while he moved on to another private tutoring post and even studied medicine for a year. He elected to pursue his life as a poet though. It is believed that Oldham suffered from poor health throughout his short life, along with many others at this time. While enjoying the hospitality of the Earl of Kingston-upon-Hull at the Earl’s country seat in Nottinghamshire he was struck down by a bout of smallpox from which he was unable to recover.